However, not everyone is galvanized by nationalism to dyke off the ocean. 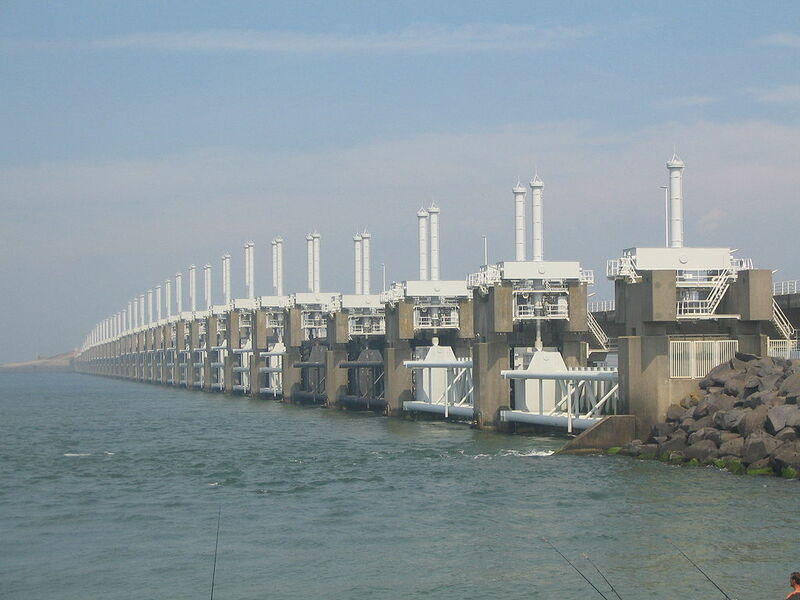 The Oosterschelde barrier costs €17 million (~$20 million) per year to operate and is only used during major storm events (which are, albeit, increasing). 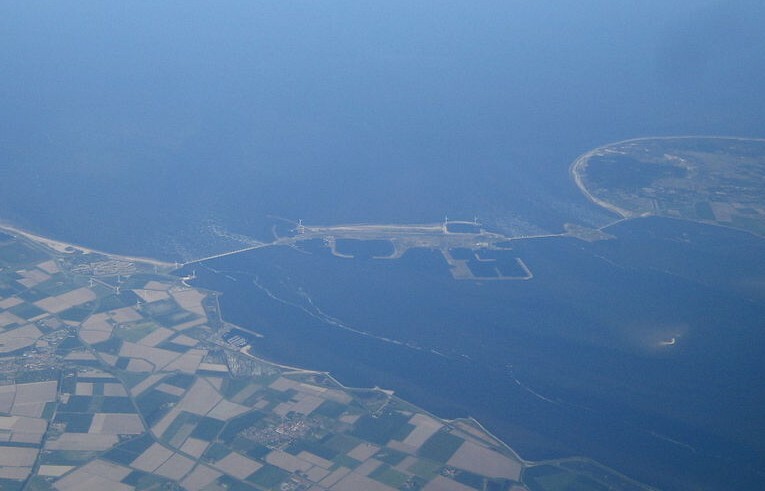 Additionally, the barrier has cut off the natural sediment flow from the North Sea critical to the tidal bed ecosystems it was designed to protect. Some groups have proposed an alternative method of dyke removal and controlled flooding of economically unimportant areas, creating new tidal flat ecosystems and giving the ocean many acres that currently sit below today’s sea levels. Unsurprisingly, this idea is hotly controversial and many consider it downright unpatriotic. How can one consider letting the sea take back parts of Zeeland after the centuries of casualties fighting to keep the ocean back? Yet, as the oceans are rising, in how many generations’ time will it be before the Oosterschelde is shut more often than it is open? Which side of the debate do you fall on? Confident in your answer? Good, because this exact same issue is coming to a city near you. The North Sea Flood of 1953 was the European equivalent of Hurricane Sandy, a brutal reminder from nature that she is changing and you can either move or put up a fight. The Dutch have prepared for a modern war against beach erosion and the government decreed to preserve the coastline as it was in its 1990 position, forever (more here). Can we expect an Oosterschelde-like surge barrier at the mouth of Chesapeake Bay (article about that study, here)? Will all neighborhoods be protected by barriers or will some be considered economically unimportant? Would it be more financially sound and safer to move cities away from the ocean? If the current Congress continues to deny climate change and starve research funding, the USA will not have enough home-based resources to combat these issues as they – literally – arise. To dyke, or not to dyke… that is the question, but are we prepared for it? When the ocean washes away all of the sand, where will Congress stick the nation’s head then?